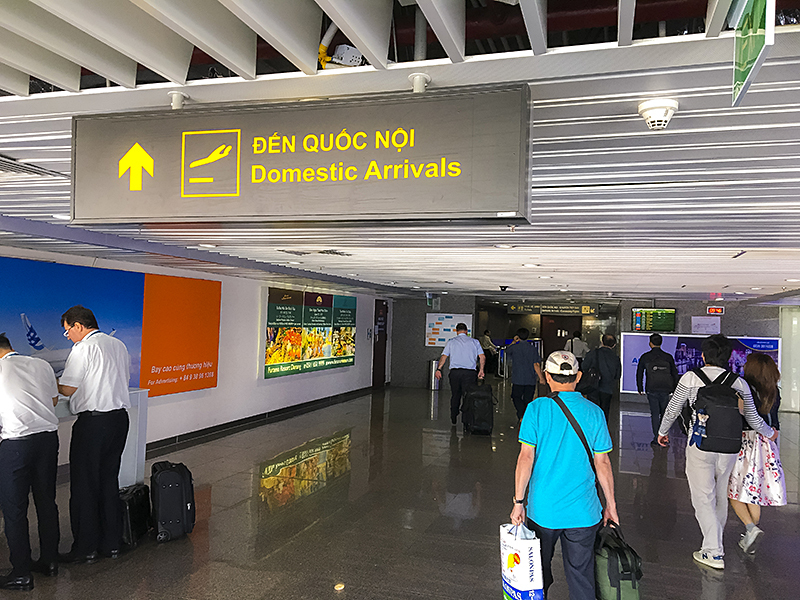 Use this guide to help you navigate your way through the Da Nang International Airport. The central region of Vietnam is an ideal destination for those who love to be surrounded by beaches and mountains. There are many ways to get there but by airplane is the fastest option. A lot of people choose to fly to Da Nang to start their trip because this city has the 3rd biggest airport in Vietnam. Furthermore, from Da Nang it only takes you probably one hour to ride a bike to Hoi An, and Hue is likely 3 hours away. 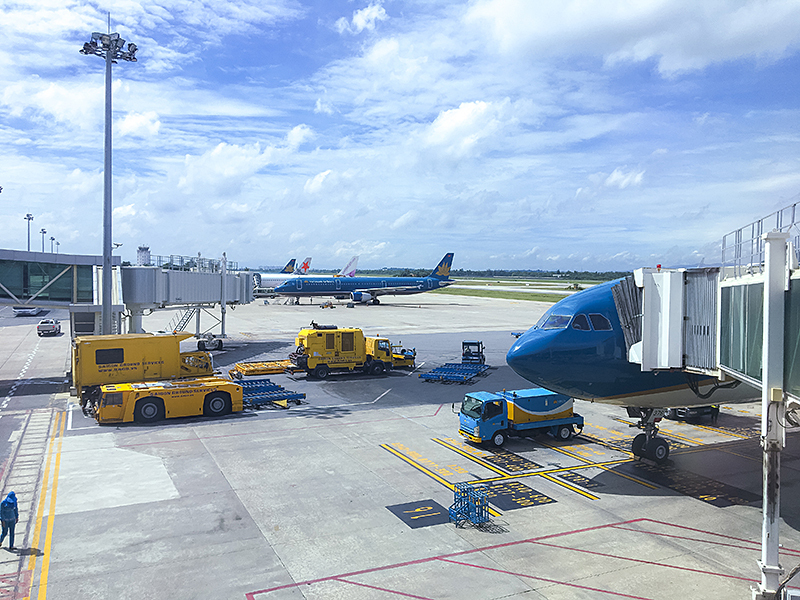 This article will provide you 10 things to keep in mind about the Da Nang airport. Read more: For a complete guide to the Noi Bai (Hanoi) International airport, click here. We also have one for Tan Son Nhat (Ho Chi Minh) which can be found here. Da Nang airport has 2 terminals: domestic (T1) and international (T2). The T1 terminal has an area of about 14,500 m2 with 3 floors and 1 basement. The T2 terminal has an area of 210,000 m2 with 2 separate arrival and departure stations. The distance between the 2 terminals is minimal; it will take you around 10 – 15 minutes of slow walking. Both terminals are fully equipped with convenient services to make the best of your airport experience. They provide modern check-in kiosks and counters for each airline. 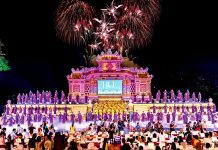 Besides, you can find their catering services, coffee shops, VIP lounge, gift shops, currency exchange spots, free water, free mobile charging, and free internet connection. Not to mention the friendly and professionals airport staff are always ready to assist you with a big smile on their face. Da Nang International Airport is considered one of the most comfortable airports in the world. The T2 terminal has 2 floors; the 1st floor is the arrival terminal and the 2nd floor is the departure terminal. There are 44 counters with 24 check-in counters and 22 immigration counters. Counters number 20, 21, and 22 are the check-in counters for business class. Note: Vietnam airports now offer a visa on arrival. Since this is a smaller airport, the visa on arrival system is much quicker with fewer people getting visas. For more information, you can check it out here! The check-in counter opens 3 hours before the scheduled time of departure (STD) and closes 40 minutes before STD. Note: You should make sure your documents have the official Vietnamese stamp before departing, so nothing goes wrong once you reach your destination. Good news for everyone: Vietnam Airlines now supports online check-in. Instead of wasting your travel time in lines, why not stay at home and take advantage of the online check-in? With domestic flights, you can go straight to the security gate if you have no baggage or if you do have baggage, you can quickly visit the check-in counter and be on your way. Online check-in also allows you to choose your seat before everybody else. But remember that the online check-in only occurs 24 hours to two hours before the departure time. Also note that Vietnam Airlines online check-in is limited to nine passengers per booking account and does not apply to children under 12 years old. Situation number 1: If you have already confirmed your email address, you will receive a check-in link via your email about 24 hours before the departure time. Just simply click it, provide the information required, and it’s good to go. 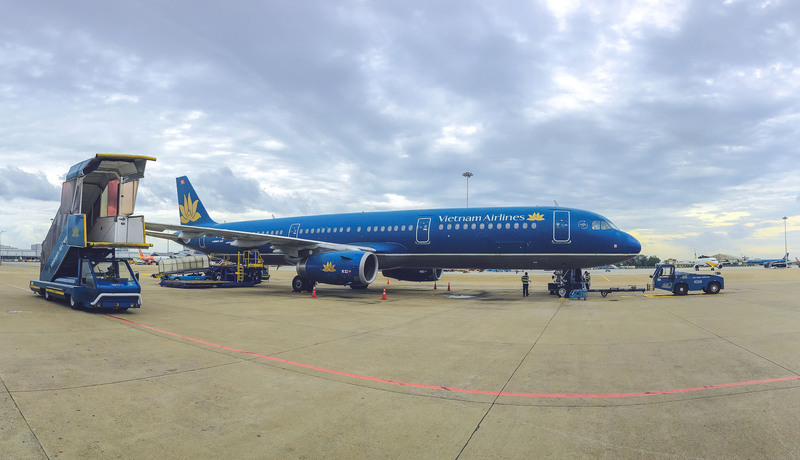 Situation number 2: If you haven’t submitted your email address, you need to access the Vietnam Airlines check-in page from 24 hours to two hours before the departure time. After that, input all the information required and there you go. 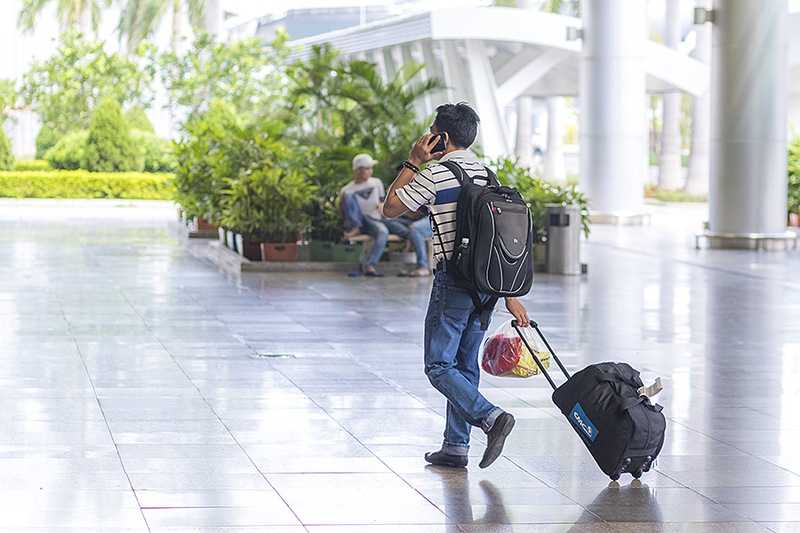 The online check-in feature is available only with flights departing from Hanoi, Da Nang, and Ho Chi Minh City. From other cities, you have no other choice than the normal check-in. When you have already checked in online, remember to appear at the airport on time (at least 20-30 minutes before the boarding time). 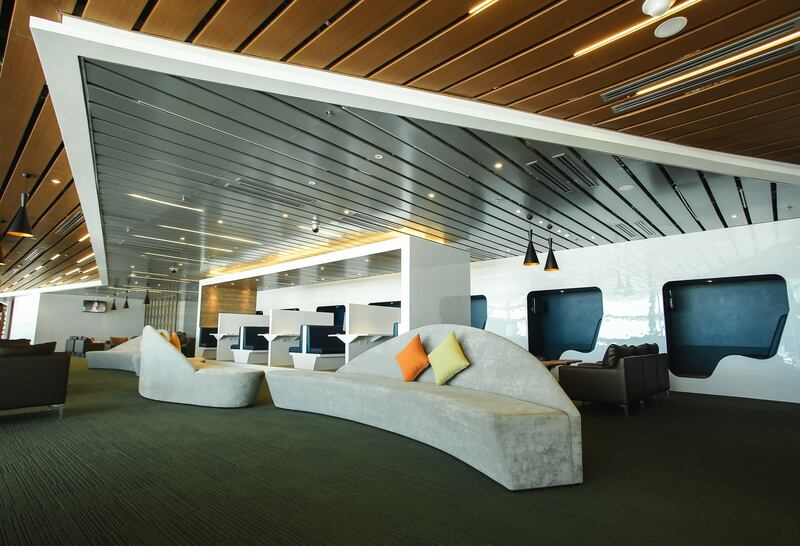 There are business lounges in both T2 and T1 terminal. There, you can sit on the massage chairs to relax before the flight, treat yourself with fresh fruits, food, and drink. You can also find magazines, newspaper, and outlets for charging your laptop/handphone. These exclusive services are provided to make your time in the airport as comfortable as possible. If you are not flying with business class, you can still enter the business lounge by purchasing access. The ticket price is around 360.000 VND/person ($16.40) for the domestic lounge and 650.000 VND ($29.60) for the international lounge. This new luxurious and modern lounge is the one and only lounge in Da Nang airport which will give you a pleasurable experience before your flight starts. It features comfortable and sleek furniture to make your few hours all the more better. Stretching sofas and decorative lamps all create a fancy theme that transports you right out of the airport environment and into a peaceful space. There are also fully-equipped working stations and nap boxes with televisions at your disposal. If you are anticipating jet lag, try their massage chairs. They also serve quality buffets with a lot of food and drinks. 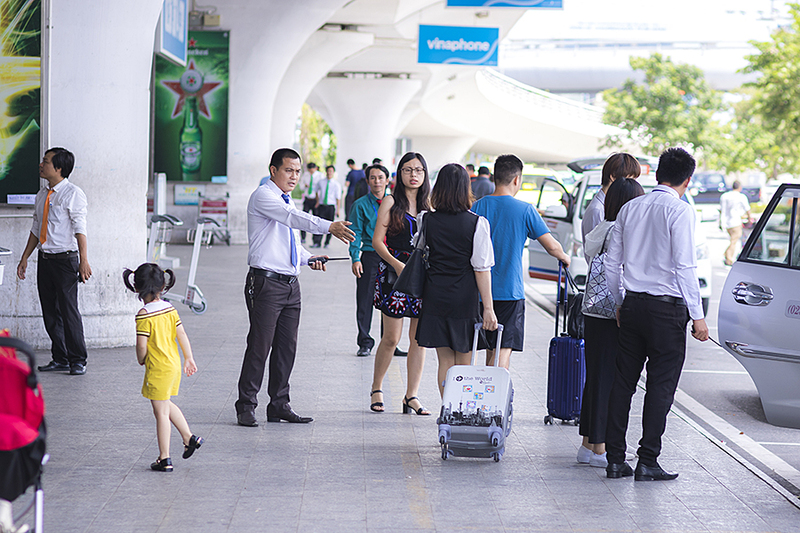 You can experience all of these VIP airport services with an entrance fee of 25 USD – 575,000 VND for adults and 11 USD – 250,000 VND for children aged above three years old. This lounge is located on the Mezzanine Floor or view here for the map. 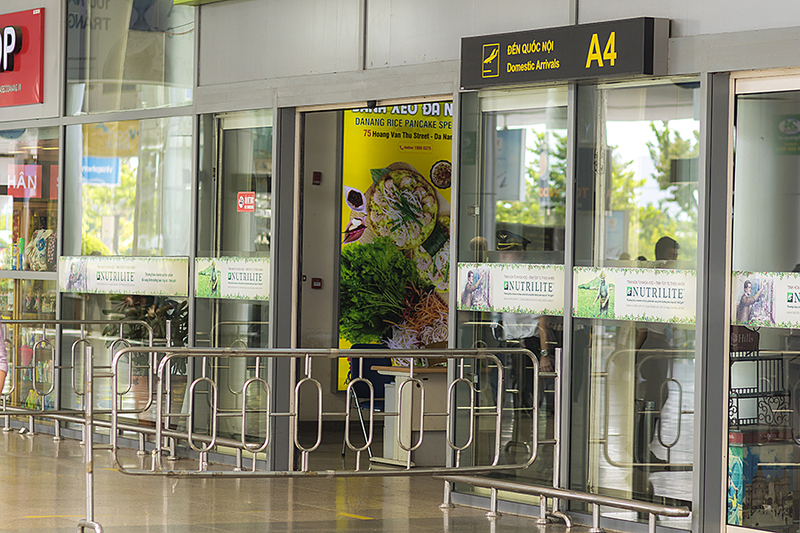 Similar to other airports in Vietnam, Da Nang airport has food courts, restaurants, and fast food chains in both terminals. When you have a connecting flight or are in a hurry, you can search for meals here: Airport Restaurant, Air Cafe MASCO, K Coffee, Lucky Restaurant, and Burger King. In addition, there is a mini-mart in the departure lounge of the international airport, where you can find some snacks or drinks before your flight. Type of dishes: Asian and Western restaurant and cafe. I usually go to the airport 2 hours before my boarding time for early check-in in order to have some extra time to wander around the duty-free shops. There is a wide range of duty-free goods offered in the Da Nang airport such as alcohol, perfume, cigarettes, cosmetics, and snacks. You can find Lotte and Jalux duty-free shops in the departure lounge of T1 and T2 terminal. There are 5 souvenir shops in the departure lounge and public hall of the international airport. They provide some cute Vietnamese gifts like key chains, magnets, handmade crafts, and so on. But again, products sold at the airport are quite pricey. So I would recommend you to do gift shopping in the city. To exchange your money, you can find some banks in public halls and arrival halls of both terminals. ATM machines are located all around the airport, in case you need to withdraw more cash. It could be said that Da Nang airport has a good location as the distance from it to other cities or provinces is less than 100 kilometers. Knowing the distance will help you arrange transportation and estimate the travel time. If you need to get to Hoi An straight from Da Nang airport, there are three transportation options: taxi, private car, and public bus. Perhaps taxi is the most popular and convenient way for travelers to go from Da Nang airport to Hoi An as you don’t have to book in advance and there’s always a huge number of taxis available. 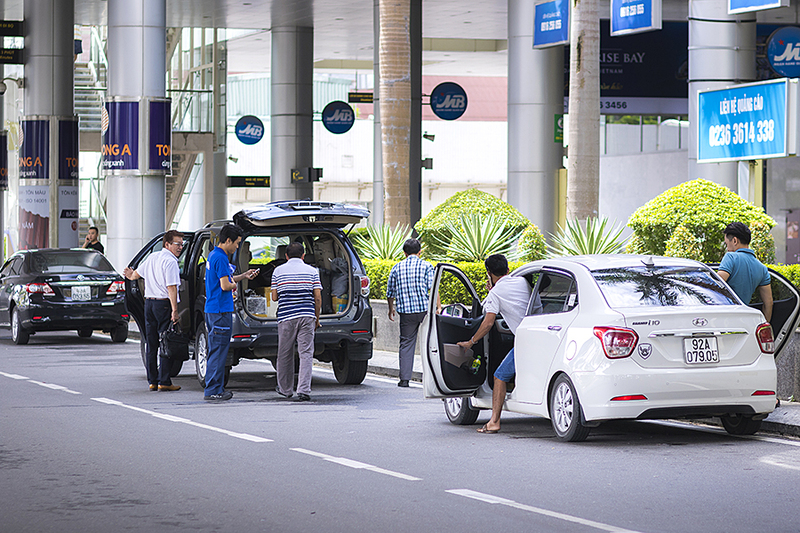 After arriving at the airport, just keep an eye out for one of these trusted taxi brands: Mai Linh, Vinasun, Song Han, and Tien Sa Da Nang. Taking a taxi from here to Hoi An will cost you around 15 USD to 23 USD, which is approximately 450,000 to 530,000 VND. Traveling by private car gives you a more comfortable trip after getting off an airplane so it will cost more than other transport services. 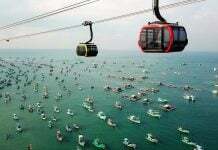 The price ranges from 20 USD to 35 USD (460,000 – 800,000 VND) depending on the car capacity and traveling hours. Christina’s now offers this private shuttle service with everything ready once you land in Da Nang. You just have to input your flight details when booking and leave the rest to us. Our driver will arrive at the airport prior to your arrival and contact your hotel in advance to make sure the transportation is smooth. Book our Airport Transfer here. Taking a bus is the cheapest of all options (about 30,000 VND), but it will take you more time. There’s no public bus route inside Da Nang airport, so you have to get to the nearest station to catch a bus, which is three kilometers away. Besides public bus service, there’s another cheap way to go: shared shuttle bus. Many tour agencies offer this service from only 6 USD (130,000 VND) with pickup service right from Da Nang airport. Hoi An Express is my recommended company. Read here for a more comprehensive guide on traveling from Da Nang to Hoi An. In case you have no idea what Grab and Uber are, there are taxi booking apps which allow you to enter your pick-up point and destination to check the price and track the route; therefore, you can avoid the common taxi scam. From the airport to the city center, it costs around 20,000 VND ($1). Moreover, Grab and Uber always has a promotion code, and with it, you can get free rides sometimes. When you are at the arrival levels, you will see a lot of taxis operated by several companies. Mai Linh is the trustworthy brand that I recommend you use. It takes around 5 – 10 minutes to get to the city center and the price fluctuates from 60,000 – 100,000 VND ($3 – $5). If you travel light with just a small backpack and you want to try sitting on the back of a bike, go with a motor taxi. It is 2 – 3 times cheaper than a cab and you don’t have to worry about traffic jams because the bike can easily weave between car lines. The only disadvantage is you can’t get on the bike with a huge travel backpack or suitcase. 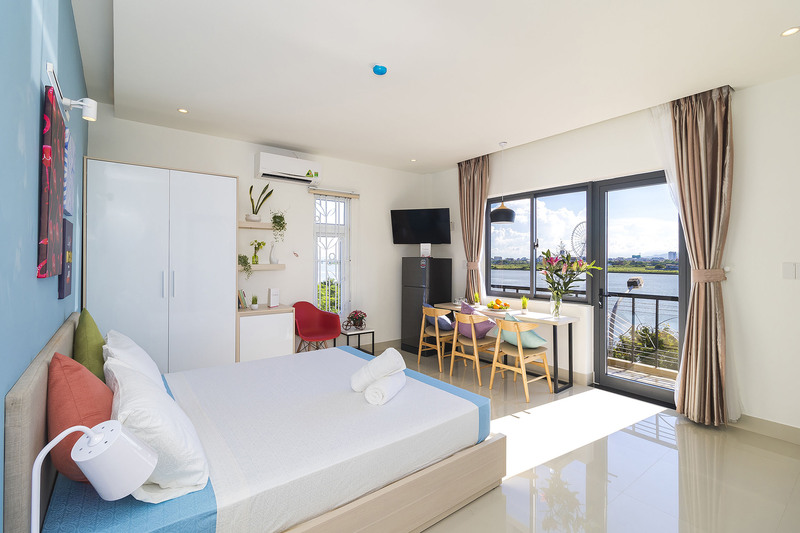 If sleeping at the airport is not your favorite, you’re in luck because Da Nang airport is close to many accommodation options. Whether you want to stay in a cheap hostel for a transfer flight or spend a night in a good Airbnb close to the airport, you can expect to find it all. Christina’s has a nice property near the beach, located just 5 kilometers away from the airport. It only takes you about 15 minutes by taxi. The place is 2 blocks away from the attractive My Khe beach, where you can go swimming in the deep blue ocean or spoil yourself with a seafood feast. The Christina’s staff cares about every detail, from the vibrant color of the room to the comfortable bed, we want to make sure that your stay with us will become the best memory of your Vietnam trip. Price range: $5 for a bed in a dormitory. Price range: $15 – $20 for a double bedroom. Above is the complete guide for the Da Nang airport. 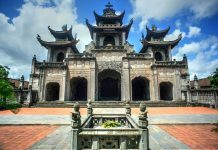 If you want to know more about what to do in and around Da Nang, check out this article, and comprehensive transportation guide from Da Nang to Hoi An is provided here. I hope you have a wonderful time exploring this lively city of Vietnam. Hi this is a great guide to an airport 🙂 As I am a smoker I would like to ask if you know, do they have any smoking rooms after I pass through immigration in the International departures area? Keep up the good work. Hello, do you know if there is motorcycle parking at the airport? I live in Hoi An and would like to leave my bike there for a few days. Hi! Wonder if you can help. I am flying into Da Nang on Cathy Pacific from Hong Kong, I then have 3 hours before I fly onto Phuket with Thai Air Asia, do you know if there is a transfer system at the aiport, without having to go through immigration etc, I am hand luggage only, so no bags.